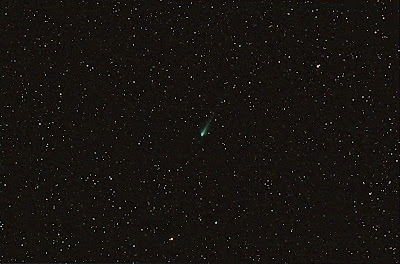 This was taken on the 25th of November with the 106 and M25C. It had a longer tail than I expected, having just seen it with 10x50 binoculars, and positioned the head too near the middle of the frame, so missing some of the long tail. 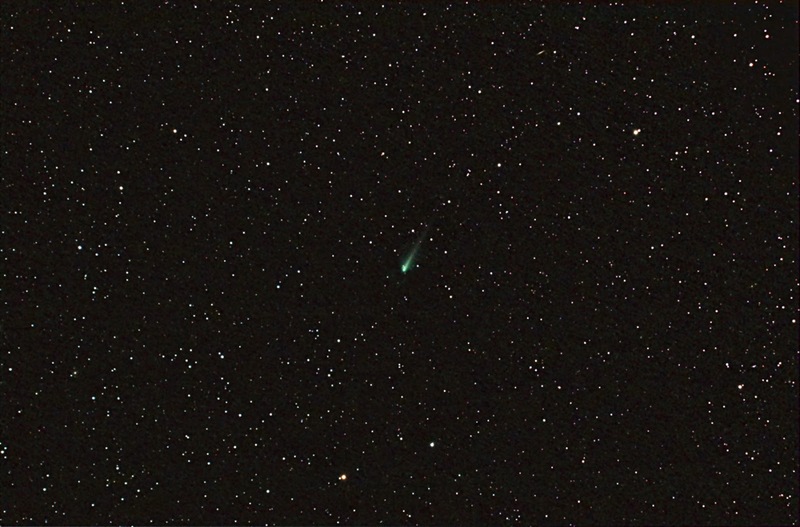 But I didn't get a second chance as clouds closed me down so I got no more than 20x60sec frames. They should have been 30sec as 60sec overexposed the head. Wise after the event of course. Hopefully I'll get a second try another night. 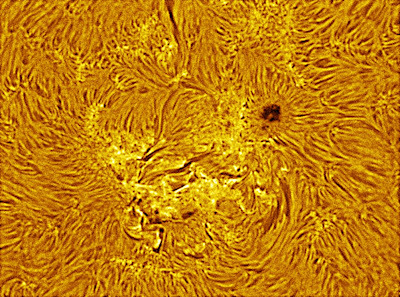 The second photo is of a single heavily stretched and sharpened frame cropped to the head alone, and looking carefully I think I can see outgassing from two positions to the front of the nucleus, or am I imagining? 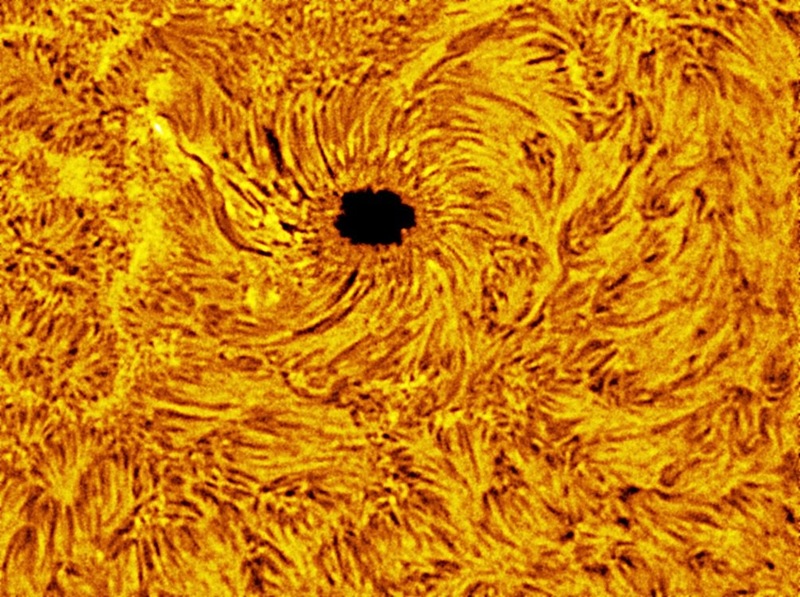 Taken by Rhys Owen from Hatfield with a modified Canon 600D fitted with a clip-in LPS filter, and a Takahashi FSQ106ED, on the 19th of November. It was taken early in the evening before the fat moon rose to spoil things. 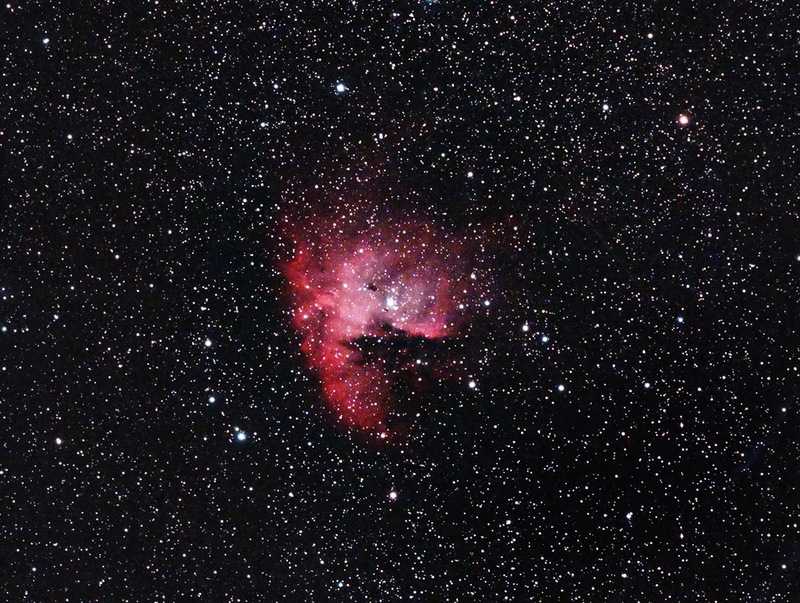 The exposure was 12x300sec., recorded by Nebulosity and guided by PHD. Calibrated in Astroart with flats and darks and sigma averaged, and finally processed in Photoshop. Taken with the mono DMK31 camera and SS filter on the Skywatcher 80ED, this time set at 55.5°C. So much is in the seeing at the time and I've noted a falling off soon after noon, quite suddenly too, so may well be because the sun is over a local factory. 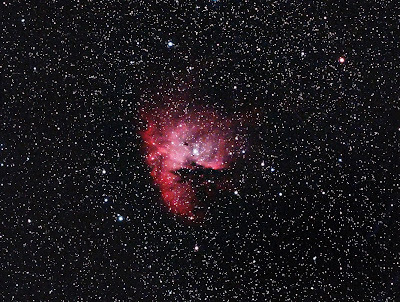 Much is also in the processing, this time with the usual Registax6. I've tried Avistack2 and get variable results, though it's more likely due to my inexperience with the software. Finished off in Photoshop and coloured there too. I think this is AR1899. 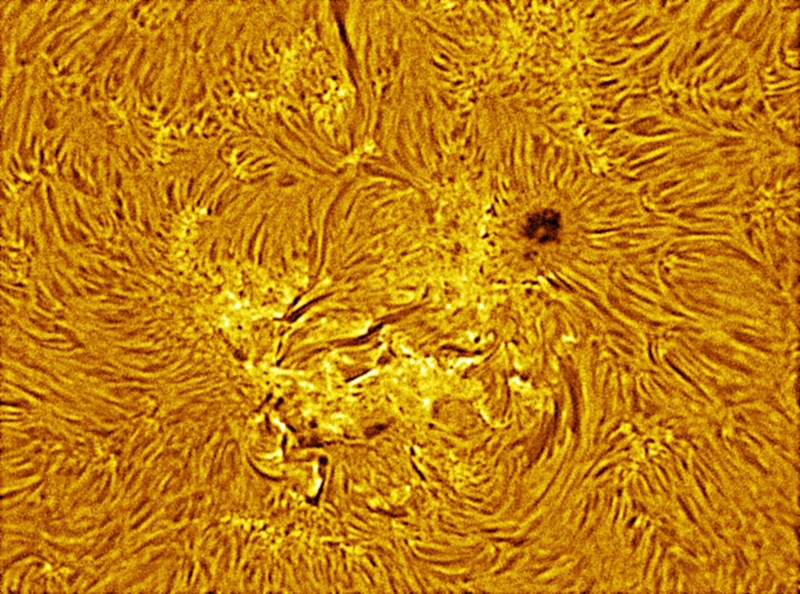 Taken with the DMK31 and 80ED with the SS solar filter, with the oven set at 52C. 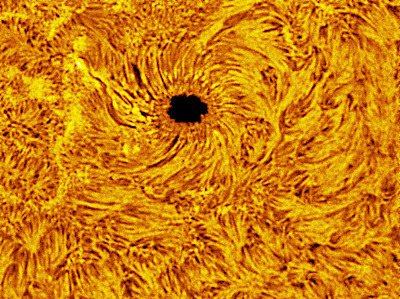 Processed in Registax6, which worked better than Avistack2 in this case, then finally fiddled with and coloured in Photoshop. The sky was strewn with thin cloud, but not heavy enough to stop the sun, though it was low in the sky, as is to be expected at this time of year at 53°N. This is becoming addictive, it's infinitely variable and warmer than sitting in the dome at night. I think this feature is AR 1893. 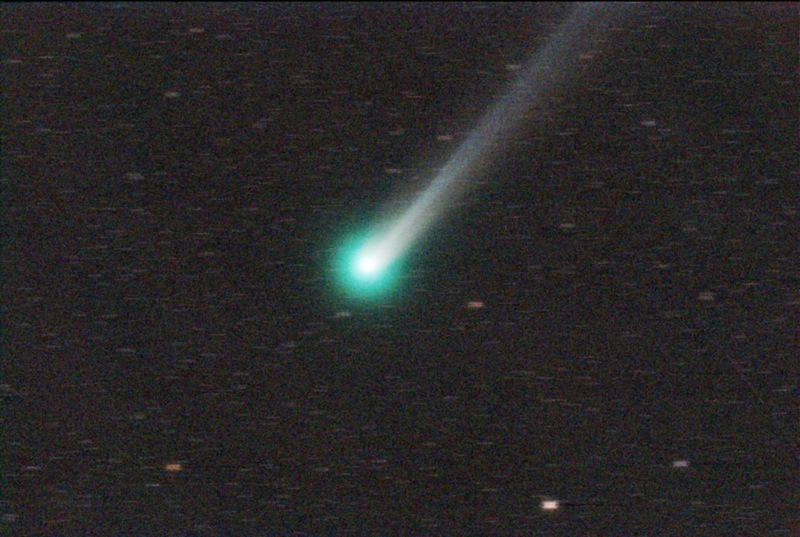 The comet isn't as bright as hoped, yet, but there is time for it to blossom, but not much as it'll be flying round the back of the sun on the 28th of this month. It's track is directly opposite to the lie of the tail as it aims for the sun. This was taken with the 106 and a focal reducer for the wider field but it's so small it almost looks lost in it. 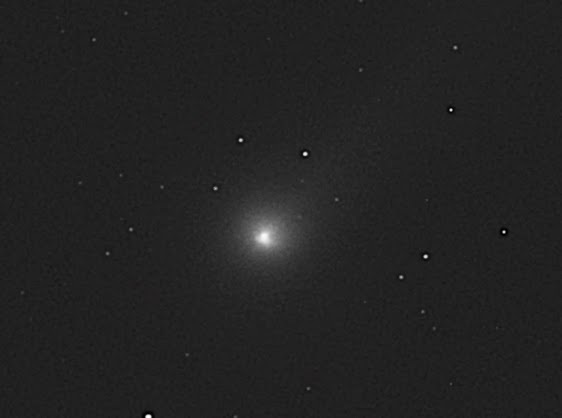 Taken with the M25C, and processed in Astroart and Photoshop from 40 x 60sec frames.